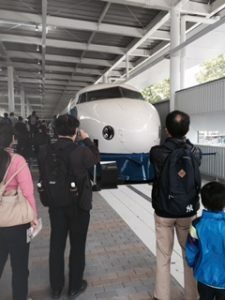 ” Kyoto Railway Museum” finally opened ! 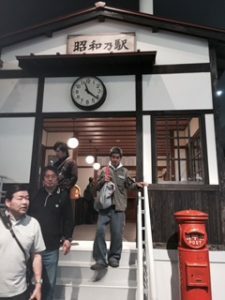 I visited the Kyoto Railway Museum opened today in Umekoji park, stone’s throw away from our Otabi-an hostel. It was January 21 that I wrote a blog about a digital counter in the Kyoto station showing “100 days until opening of the railway museum”. so, already 100 days have passed since then. The time passes so fast ! but when I visited there just after launch time I did not need to join a long queue to enter by luck. 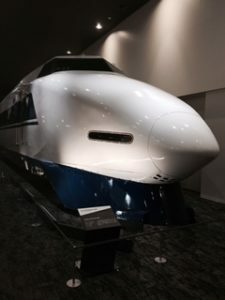 It shows interesting history of Shinkansen, retired overnight trains and also many steam trains as this place was famous as Umekoji Steam Train museum before the new train museum is built, which bring back old memories.